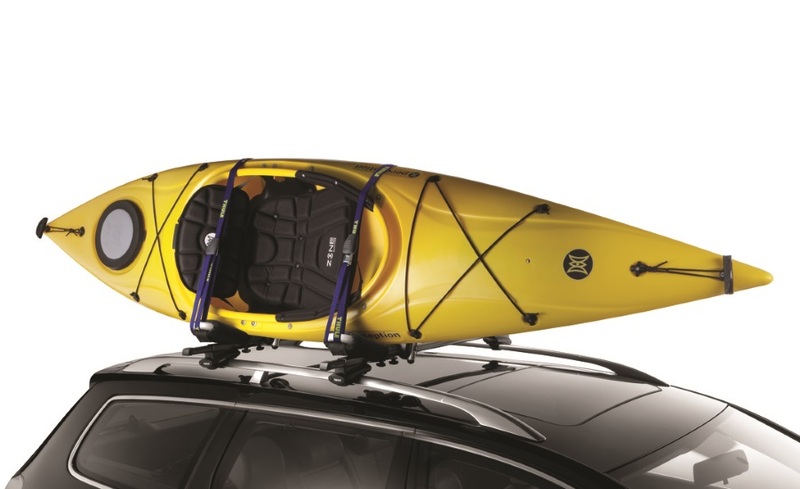 This standard J-style cradle kayak carrier delivers superior carrying performance and protection. This standard J-style cradle delivers superior carrying performance and protection with its 4-touch point adjustable padding and rust resistant steel design. With a limited lifetime warranty Thule is dedicated to providing exceptional products that are quality tested and guaranteed against defects in materials and workmanship. 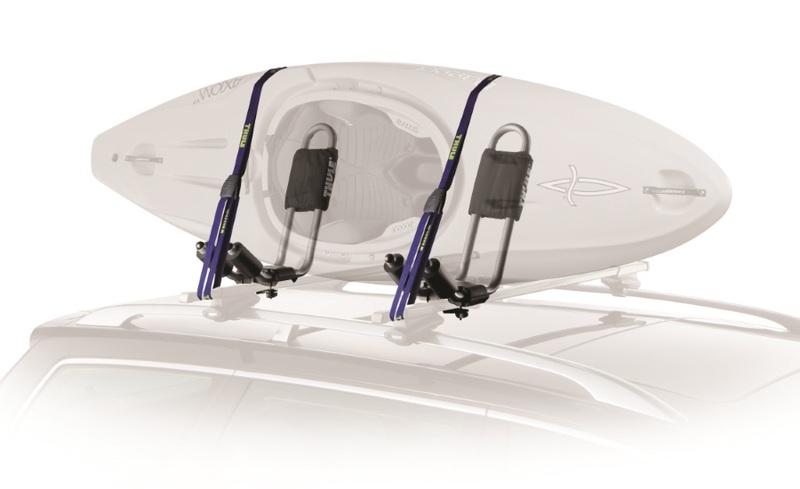 Optimally sized J-style carrier leaves roof space for other Thule accessories. Fits Thule rack systems, round bars and most factory racks. 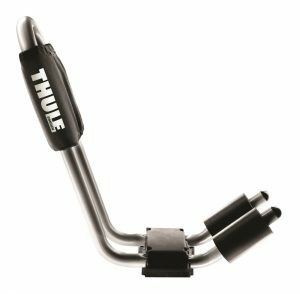 Fits flush to Thule AeroBlade with Xadapt11 T-track hardware kit (sold separately). AllSurface rust-resistant coating and hardware for longer product life. Carries 1 kayak and requires 1 person to load and unload. 1 to 4 carriers per vehicle. Includes all straps to transport 1 kayak. Accommodates kayaks up to 36 in/90 cm wide and 75 lbs/35 kg.